This record is complex and challenging, but equally rewarding to those who make the effort. The prize? A trip into a man's psyche and the quiet intensity therein. This project is an amalgam of talents: the music of renegade Ohio composer John Howell Morrison, and performed by the universally acclaimed Intergalactic Contemporary Ensemble (fresh from the world tour promoting "I Dig" Innova 548). Under the direction of the original madman in the rain, Duane Schulthess, they bring to life Morrison's compositions with a resilient brilliance. One of the freshest voices in American music, John Howell Morrison is no stranger to struggle. 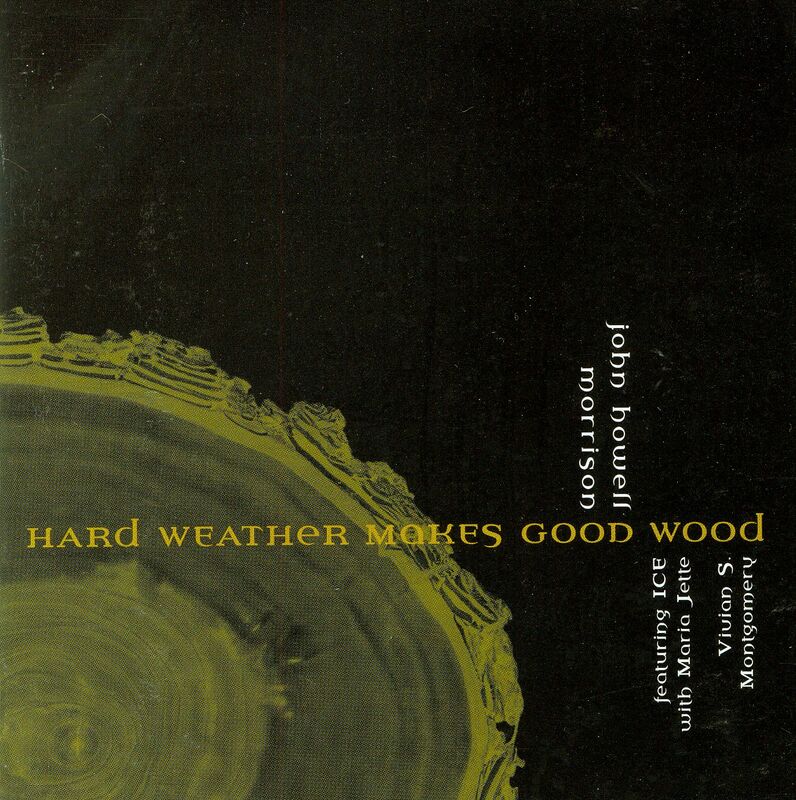 His new release on innova, Hard Weather Makes Good Wood, is a fantastical synthesis of the American South,the ferocious chops of the performers, and a creamy blend of electronic and acoustic media. Combine these elements into a seamless whole and you get a heady, hearty, challenging sound world that shows us a glimpse of the future of chamber music. Morrison has character in buckets and reminds us that surviving life’s storms is what builds us up. Through it all, hard weather makes good wood. Music shouldn't be easy, and this isn't but the rewards are so worth it. A longtime Cleveland resident who was recently appointed to a faculty position at Cambridge 's Longy School of Music, John Howell Morrison's oeuvre is unusual and remarkable. Unlike most other composers, he's willing to lay himself painfully open in his works, confronting private demons head on for all to see. The result is edgy, strange, and engrossing. Stylistically, Morrison shows an unusual take on Downtown aesthetics. The music has a strong folk and pop feel and readily traffics in patterned figuration, but easily accommodates avant-garde elements such as microtones, glissandi, clusters, and extended techniques. While material often unfolds slowly, it doesn't take eons to make its point. And best of all, here's a tonemeister in this style who isn't averse to thinking architecturally. For example, the seven short divisions of the solo harpsichord selection My Love Lives Down That Long Dirt Road (1992) do not co-exist haphazardly in the same nest; movements one, three, and five are variants of each other, giving this character piece set a modified rondo overlay. And the title track (1999) allows its nervous string quartet music to be swamped on three occasions by an aggressive, sludgy tape backing; each time, the quartet regroups and comes back more assured -- on the last occurrence providing a clear recapitulation of opening material. The Heart Poems (2001) is the best example of the aforementioned personal quality of Morrison's ethos. Here, he sets low-key yet wrenching poetry written by his mother-in-law that unflinchingly addresses her own bout with open-heart surgery. Despite a somewhat more New Tonalist approach here that owes something to Broadway stylings, this is evocative and simple yet respectful stuff. In fact, his artless composing more acutely points up these desirable qualities. The violin and tape selection Rising Blue (1997) is the least naked of these entities, though there's no shortage of evocative personality. Its large concluding section, for example, exudes a thudding, elephantine sense of fun. Performances are excellent. Members of the Minnesota-based Intergalactic Contemporary Ensemble do a strong job with these deceptively challenging compositions. Soprano Maria Jette's solid yet uncluttered singing and able diction suit The Heart Poems well. And My Love benefits strongly from Vivian S. Montgomery's clean technique and nicely-paced phrasing. Sound and production are fine.